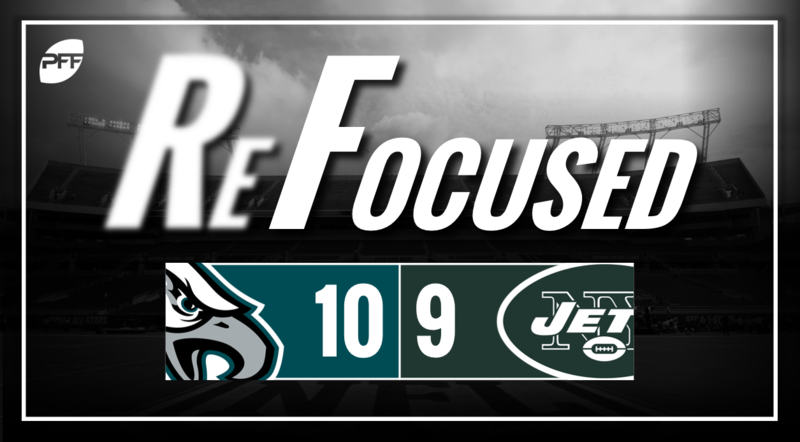 The Philadelphia Eagles defeated the New York Jets on Thursday evening, 10-9 continuing the fourth full week of preseason action in the NFL. Veteran quarterback Josh McCown played well, though, he was victimized by drops. His receivers dropped a few big passes early in the game. The bright spot for Jets offense was running back Thomas Rawls. Rawls had just a few opportunities, but he posted a nice 14-yard run, spinning out of a tackle attempt and nearly scoring on the play. David Bass looked dominant at times against the Philadelphia offensive line, showing a quick burst and a nice set of pass-rushing moves that helped him beat his man consistently. Other than the late burst by Matt Jones, the Jets defense played stalwart run defense, holding Josh Adams, who saw most of the action in the first half, to only 27 yards on 13 carries. The linebacking corps played a big part in that, led by Neville Hewitt. The Eagles defensive line was a force in this matchup. Steven Means and Josh Sweat were both effective rushing the passer, creating problems for the Jets in the second half. Interior defensive linemen Bruce Hector and Elijah Qualls did a great job stuffing the run all night. Defensive backs Jeremy Reaves and Chandon Sullivan made plays all over the field. Reaves and Sullivan each recorded pass breakups, while Sullivan added a nice interception on an underthrown go route. New York: The Jets offense struggled tonight. The offensive line struggled in the run game and the receivers had too many dropped passes. Philadelphia: Jones and Callahan led the game-winning drive, methodically driving down the field with chunk runs and accurate throws.